Motic Microscope offers a complete line of professional microscopes including Meiji Techno (Japan) and other professional microscope instruments. Our goal is to provide you with excellent customer service while getting you the proper microscope for your application. We encourage you to browse our site, but please do not hesitate to call us and let us help you determine exactly which microscope would work best for you. 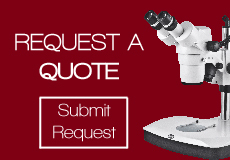 We specialize in putting together custom quotations and discussing your specific use of the microscope to ensure that we completely understand your microscopy goals. Whether your specific application requires special lighting needs or the ability to capture digital images, we would be happy to help you figure out the best solution, or even give you several different microscope system options. The majority of our microscopes and accessories are on this site, but not all of them. If you do not see the specific item you are looking for, please call us and we will be happy to give you the price. We pride ourselves in employing highly knowledgeable professionals available to assist you with your microscopy needs. If you are looking for a less expensive educational microscopes please visit www.microscopeworld.com.